Because of the lack of 10.4 inch medical SVGA monitor, used on BW530 (human-use ultrasonic imaging system, or ultrasound scanner) and BW530V (veterinary ultrasound scanner ) , we regret to inform all of our distributors, customers and agents that BW530 & BW530V will be out of supply from today on. We guarantee the supply of all spare parts for maintenance service purpose will not be affected within the specified warranty period. We strongly recommend that all dealers, customers and agents to replace BW530V with one or more of the following models BW590V, BW570V, BW560V, BW540V, BW500V, BW560V-pro BW570V-pro, BW580V-pro etc, we’re ready to offer a special price of the machines we recommended to all partners. 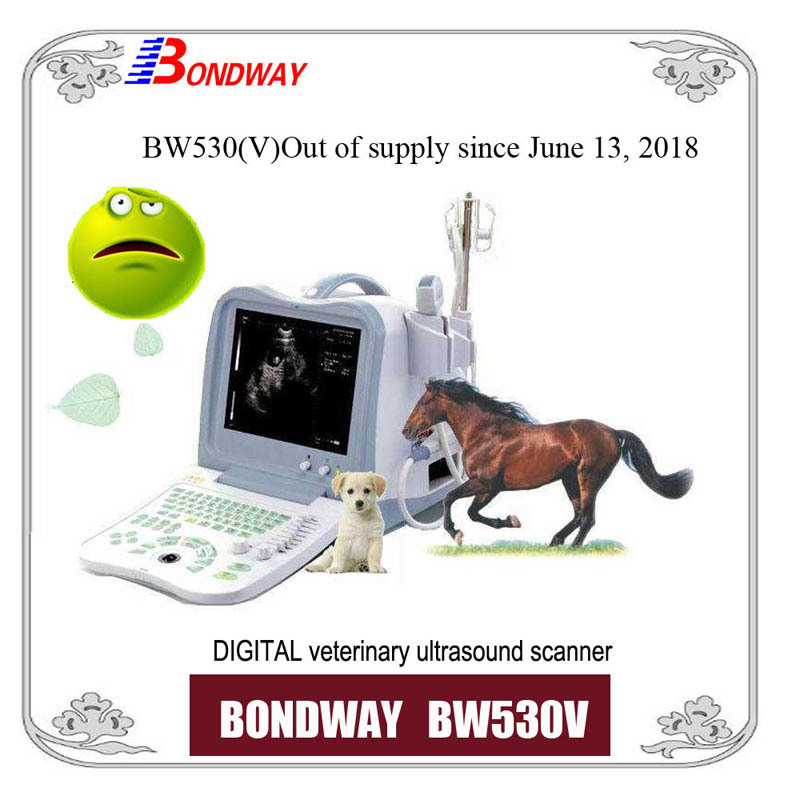 With classic design, both BW530 (human version) and BW530V (veterinary version) are among the first ultrasound machines that Bondway has introduced to the market, Over the past 12 years since the establishment of Bondway company in July 2006, It has been exported to over 100 countries. It has contributed a lot to the growth of Bondway.